ormed in the depths of Kolkata, India, KAPALA have had one - and only one - objective since its formation: to play the most intense and bestial musick and annihilate the cesspool. Inspired by such legends such as Goatpenis, Revenge, Black Witchery, Blasphemy, Conqueror, and many other violent entities, KAPALA seek to wage total sonic warfare with a strong obsession for the concept of "Survival of the Fittest." And indeed, they accomplish that in the swift 'n' decisive 20 minutes comprising their first public recording, Infest Cesspool. A true power-trio that's more like a three-man war machine, KAPALA seek to crush, kill, and destroy all in their path with overwhelming violence and totally OTT intensity. Their arsenal of shredded decibels is bountiful, as each riff and drum hit becomes its own weapon, unleashing wave after wave after unmitigatedly annihilating wave. Stripped to only the barest essentials and with a rawness pushed well past the red, Infest Cesspool quickly becomes its own blown-out, charred-beyond-redemption landscape, unforgiving and unrelenting and unforgettably so. 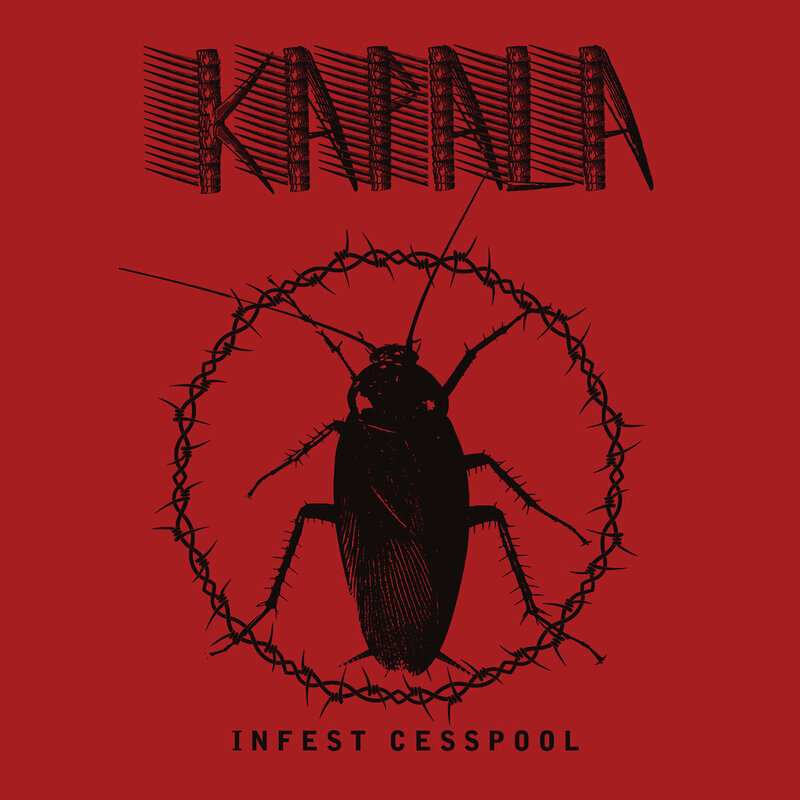 There will be nothing left but scorched earth and eviscerated eardrums after this Infest Cesspool has been wiped clean - KAPALA's martial dominance will prevail!